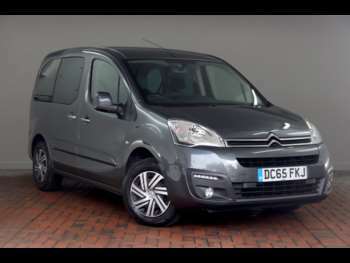 With many models available in the used Citroen Berlingo Multispace range, it’s often difficult to know what to go for. However, no matter the one you choose, you can be sure that you’ll be getting a vehicle that’s spacious, comfortable and generally an all-in-one. It’s bold yet simple, and newer models come with technology that’s designed to make the vehicle even more complete. First Introduced in June 1998 the Berlingo Multispace was initially only available with a 1.4-litre petrol engine. A 1.8-litre version soon followed in 1999 as did a 1.9 diesel model. The first major change to the range occurred in May 1999 when it received a facelift. Since then, changes on second-hand Citroen Berlingos have kept coming. The used Berlingo Multispace is an MPV based on a van, so you shouldn't expect cutting-edge design or the latest state-of-the-art engines. Instead, however, what you do get is practicality in abundance. The second-hand Citroen Berlingo Multispace van boasts wipe-clean surfaces, sturdy cargo nets, massive luggage bins and a solid, built-to-last feel. Its van roots are clear in its reinforced back bumper and the fact that it can carry over 600kgs. Put the seats down and you are left with over 100 cubic feet of storage space. The cabin boasts 15 storage areas and there is a massive overhead shelf above the seats. And it’s all of this what makes a used Citroen Berlingo Van a brilliant car for families. A used Citroen Berlingo Multispace is a good, fun drive, it handles well and has a fair bit of poke. Overall, used Berlingo Multispaces offer a cheap, cheerful, family-friendly option. The 1.8i represents the best value and the most fun. Although, all models do have reliable engines, are easy to keep clean and tidy and have vast load areas. 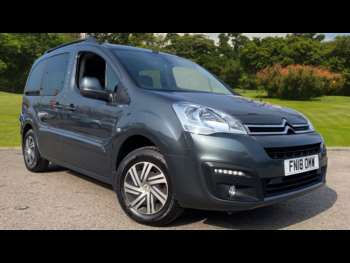 So, browse our second-hand Citroen Berlingo Multispaces for sale now. Popular models include the Estate, Plus and VTR. Got a specific Citroen Berlingo Multispace model in mind?